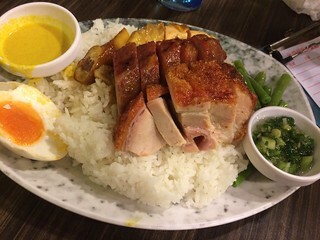 [Eat] Hong Kong- What to eat near Kowloon Wall City Park? This would be a combination of what I had that day after my visit to the Kowloon Wall City Park. 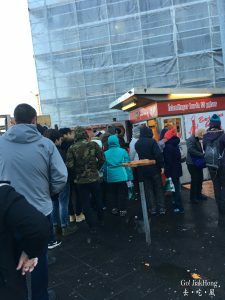 After walking around and visiting the park we were very hungry, so our friend who work at that district introduce us what to eat there. As the place below that i will introduce is situated at the residential area of the city which means that it was not a famous tourist attraction or place which cater to tourist. Most of the restaurant there are cater for the locals it would be best if you could speak Cantonese or able to read traditional Chinese. 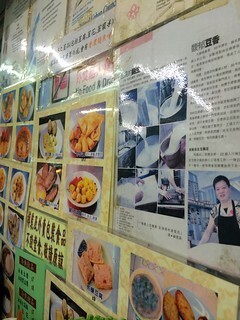 Our first meal was roasted pork /燒臘 as she told us that they will always patronise this stall during their lunch break. 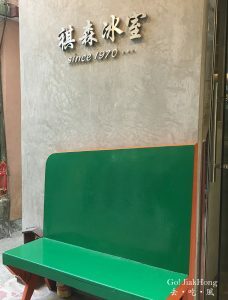 Both of the restaurant i am going to introduce doesn’t have an English name. The roasted pork was really juicy and the top layer skin was crispy. A full cost meal cost last than SGD$10 with 3 type of meat really worth it. I even felt that their salted egg was real good, i was thinking if this is really the salted egg i have eaten in Singapore. 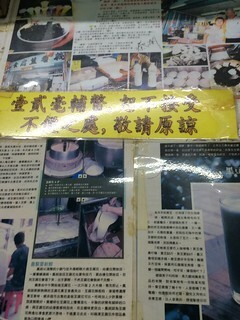 Very interesting Soy Milk as it was called the black soy milk, as the yellow bean was made by stone mill a traditional way of making soy milk. 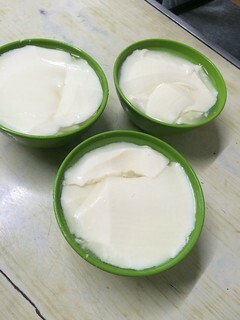 I love the beancurd as it is very smooth and silky and the 煎釀三寶 is crispy and delicious. Rainy day with a cup of warm soymilk and 煎釀三寶 is just right~!~! There are other food that is sold there too, which is delicious. (Quote: From my HK friend). Hope to try next time. Traditional Hong Kong family eatery business. The person who attend to you might not understand English and mandarin. 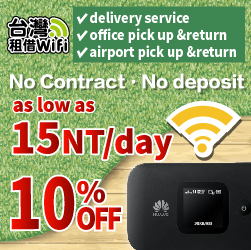 Cantonese only. 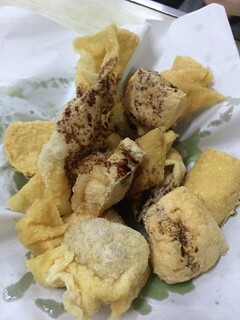 I felt that it was the old Hong Kong vibe when you are in a Cha chan teng. 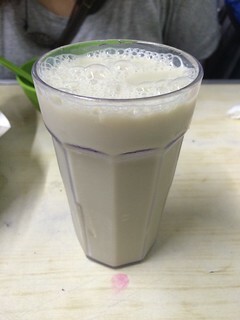 The soy milk is slightly grey and the taste might not be of your liking as it hold on to quite a unique taste and texture for adventure food taster.